« Where was Obama when Obama was born? Reform Party leader Kenneth Jeyaretnam held a rally in Singapore on a wet and soggy day last Saturday afternoon. 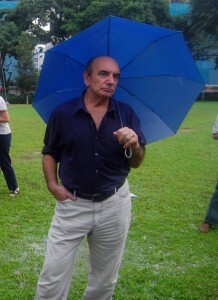 In pouring rain, only 300 Singaporeans turned up at the event. 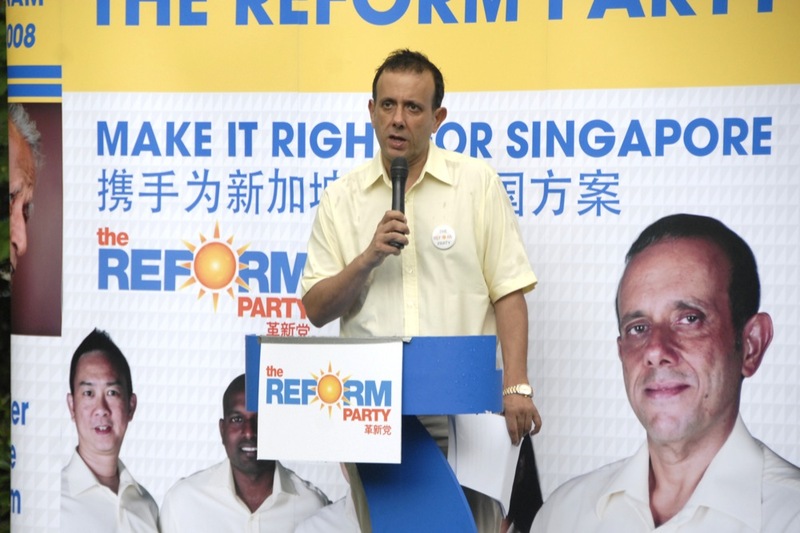 Kenneth Jeyaretnam the went on to say nothing new, but only to repeat what Singapore’s unsuccessful opposition parties have been repeating for years – and years. Then it was on to cutting Singapore’s taxes (which are already low), hiking spending to improve education and healthcare systems, ensuring greater job opportunities and reviewing the use of state-sovereign wealth funds. Kenneth Jeyaretnam had no new ideas, but simply went on to repeat what had been said many times before. Kenneth Jeyaretnam questioned Singapore’s open door policy, calling it an “easy” way to boost economic growth. Was he implying that Singapore’s soaring economic growth was a bad thing? Oh yes, then there was the plea for “more affordable housing.” Ho hum! Fellow Reform Party member Alec Tok complained that between 1990 and 2010, property prices in Singapore had risen by 342 percent. Is that such a bad thing? Other stale Reform Party issues covered living costs, building a “sustainable knowledge-based economy,” phasing out inefficient factories, invest in better technology, and carrying out more R&D. Yawn! If attendees were expecting to see some of his father’s fiery brand of rhetoric, they were sorely disappointed. Daddy’s boy, Kenneth Jeyaretnam, is more measured, lacking in any sense of excitement, or of new ideas. The guy should go back to being a hedge fund manager. In attendance, with nothing better to do, as he is out on bail, was Alan Shadrake, convicted author of Once a Jolly Hangman. The elephant in the crowd was Balraj (aka Baldev) co-founder with Kenneth Jeyaretnam of Singapore’s Reform Party. Niadu is in prison in the U.S. having been convicted on charges of terrorism. In pouring rain, only 300 Singaporeans turned up at the event.I was there and the crowd was only less than a thirty before deduction of their member.This Man KJ (not fix to carry the name of Jeyeratnam)was a very good liar.He has nothing new accept to voice out to carry the vision of his late father (JBJ).I has know JBJ for donkey years, KJ was against JBJ to form the Reform Party. Thanks for the update that minus the members, there were only 30 people there. Wonder what Alan Shadrake was doing there – another book? Kenneth Jeyaratnam’s best friend, Baldev Naidu, arrested, charged and sitting in a US prison? This fellow KJ knows more than he is “not saying”.